When your loved ones are ill, handicapped, or going through their golden years, trips to the hospital or clinic may be all-too-common. They will be requiring procedures and medical assistance which are vital to maintaining their health. The trip can already cause stress to the patient. This is why it will be a better idea to bring the procedure, therapy, or medical assistance required to your loved ones at home. Not only is this highly possible, it will even result in much better care. After all, services will be specialized and personalized according to the needs and even preferences of the patient. Perhaps you will be wondering where to find skilled nurses and health care professionals in Texas. Well, that wouldn’t be a problem for All Care Professional Home Health, Inc. is just the place to look for. Offering various home health care services in Arlington, Texas, we are comprised of a dedicated and highly-trained team of health care professionals, such as skilled nurses, occupational therapists, physical therapists, and speech-language pathologists, and even non-medical home care providers. Our skilled nurses are licensed and registered, have undergone extensive training, and are well-equipped to be able to provide your loved ones the services they need. From therapies like anti-coagulation therapy and infusion therapy to different kinds of personal and medical care, our skilled nurses are sure to give the proper, safe, and efficient care. 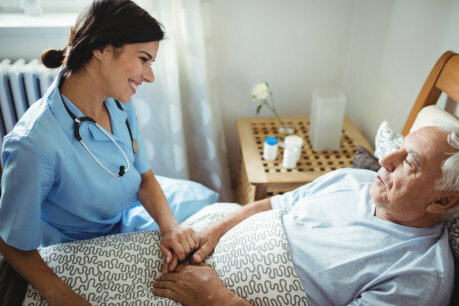 At All Care Professional Home Health, Inc., we see to it that our health care professionals and caregivers are not only trained in providing the services they specialize in but we also make sure that these services are given with genuine care and compassion. This gives a holistic experience for your loved ones, as we continuously find ways to make them feel better and comfortable. This is the biggest advantage of the services providing home health care in Fort Worth Texas, as we aim to use our skills and resources to be able to provide a personalized health and home care to our clients. Tell your loved ones the good news that you will no longer have to take those long, stressful trips to the clinic, hospital, or medical facility. Talk to us today at 817-457-2688. Know more about how having our skilled nurses in the comfort of your loved ones’ home can truly make things easier, better, and more efficient. Don’t forget to share this post with a friend who is looking for a skilled nurse at home. This entry was posted in In-Home Skilled Nurses and tagged medical assistance, occupational therapists, personalized health, skilled nurses. Bookmark the permalink.